The Point3's trueflight characteristics allow you to accurately assess your golf swing, ball striking, and follow through. 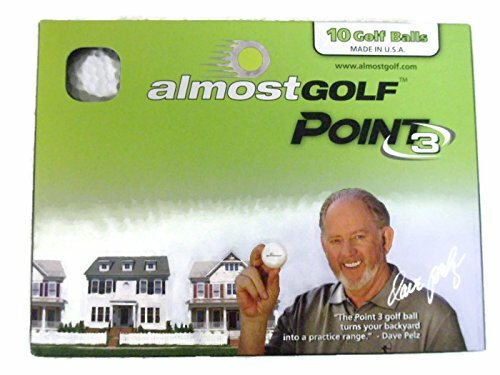 The Point3 golf ball travels approximately onethird the distance of a normal golf ball so it's perfect for backyard practice. Restricted flight balls, #1 off course ball in Golf, Dave Pelz endorsed, for more information go to Almost Golf's website. Imported by US.